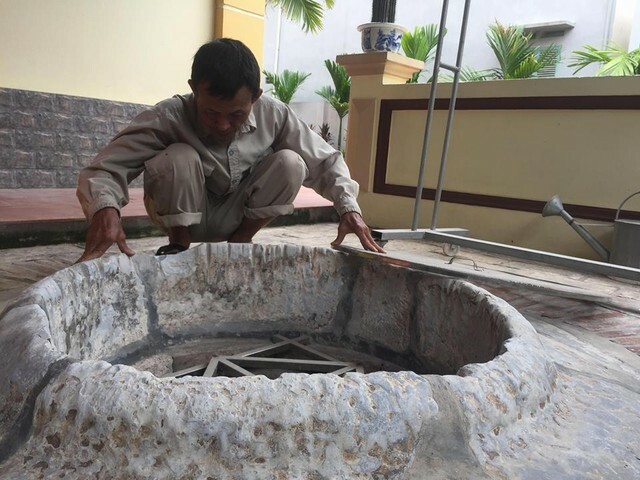 The story of two ancient wells that existed for thousands of years in Tam Ky village, NghiaTru commune, Van Giang district, Hung Yen province, made people curious. 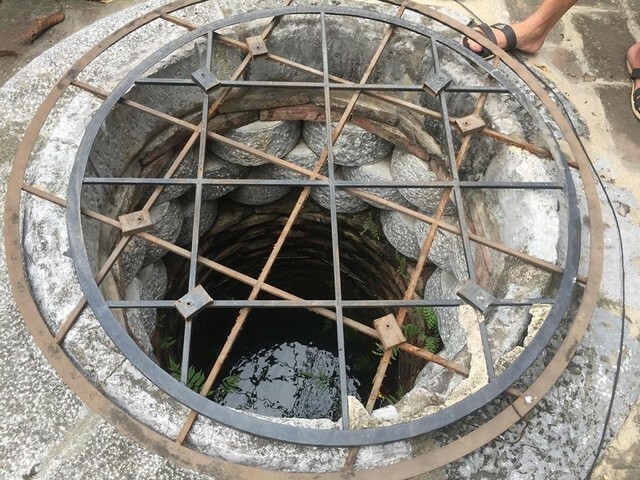 In the last days of July 2018, we had a chance to visit Tam Ky village to see firsthand these two ancient wells. The road to Tam Ky village, Hung Yen is covered by concrete with the two sides of the way are green trees shade umbrage. At the beginning of the village is the village gate filled in ancient mark. Look to the right side, you will see an ancient well with a diameter of about 1m. Mr. Vu Nhu Lan, the secretary of Tam Ky village, said that this is also the ancient wells that Tam Ky villagers restored a few years ago. 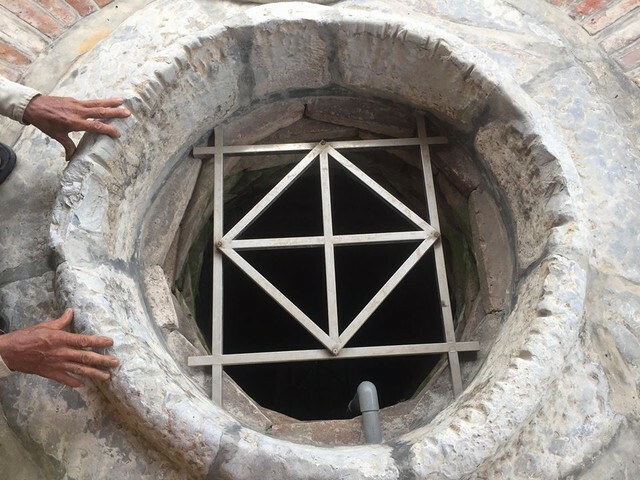 Opened the lid, he introduced about the ancient wells with blue water source, reflect blue color sky: “This ancient well has a diameter of 1 m, depth of nearly 14 m. The bricks of well’s wall are special bricks stacked on each other. The mouth of the well has three layers of green stone with rounded stone blocks stacked on each other “. Mr. Lan said that bricks on the wall of a well is 7 cm thick, 17 cm wide and 27 cm long. The rounded stones are 17cm high and 27cm wide. About 200 m away from this old well is a second ancient well. This well is located in the yard of a family house in Tam Ky village, Hung Yen. So far, this family still uses water in the well for daily activities. 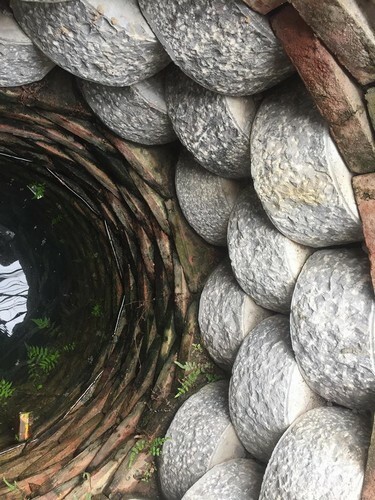 The second ancient well has a diameter of 1 m, depth of more than 10 m. People used thick brick to make the well’s wall in rounded arrangement and stacked on each other. Mouth of the well was made of smooth blue stone. “2 ancient wells in Tam Ky village are considered as two God’s eyes and the spirit of Tam Ky village. Therefore, people in the village are very careful to preserve and protect the well. Over time, two old wells are still almost intact” Mr. Lan shared. 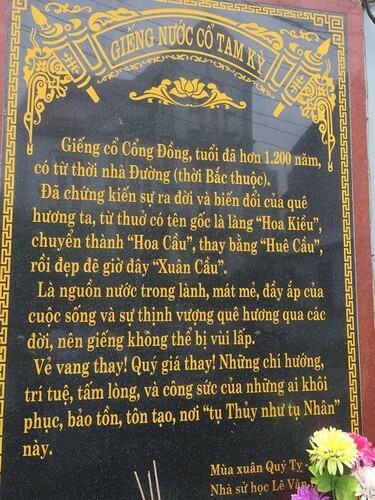 Le Duc Lan, chairman of the People’s Committee of Nghia Tru Commune, said that two ancient wells in Tam Ky village were also the subject of many famous historians, including the historian Le Van Lan. 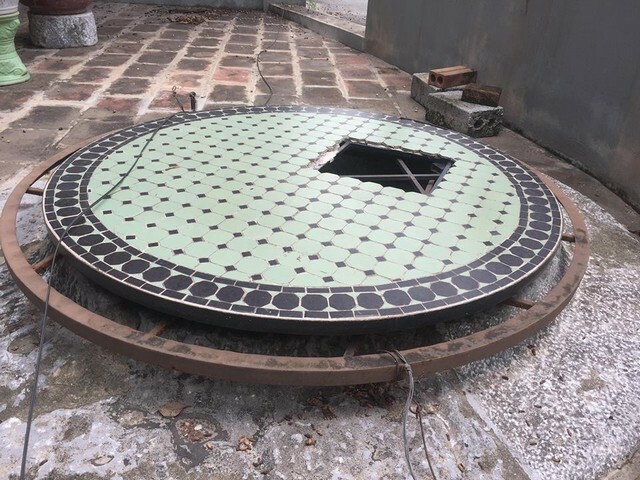 Through many surveys, evaluations, and based on the construction, the relics, Mr. Lan determined the two ancient wells dating back over 1200 years. Mr Nguyen QuangHuy (year of birth 1962), the head of Tam Ky village, said that two ancient wells were the source of clean water for the village. In the rainy season, there is a lot of water; the water rises to near the mouth of the well so you can use the mug to take water. 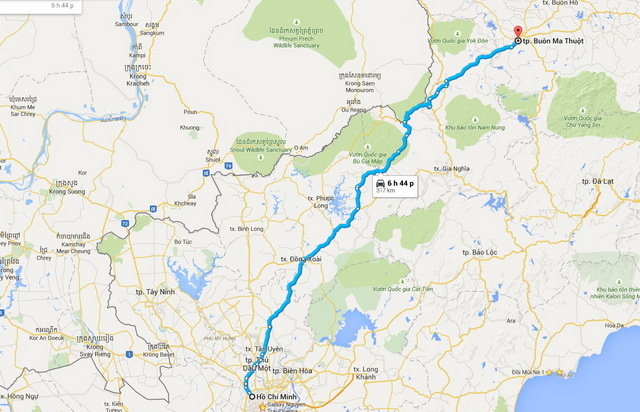 In dry season, the water is lower, but only lowers level and never dry. “I heard from the ancient people told that in the dry season the ponds in the village were almost dry, but the water of these two wells was still clear, not dry. Especially, the source of water in these ancient wells was not polluted so people in the village also used this water for eating, bathing” Mr. Huy said. According to Mr. Huy, the ancient people in Tam Ky village also shared strange stories around these two ancient wells. It is said that, at noon summer, there was a woman worked on the rice field got sun stroke, the villagers took her to the well, washed her face with ancient well’s water and offered her water for drinking. Later, the woman slowly opened her eyes and felt better. Mr. Huy said that from 1980 to the present, many people began to use the drilled well’s water for daily use. 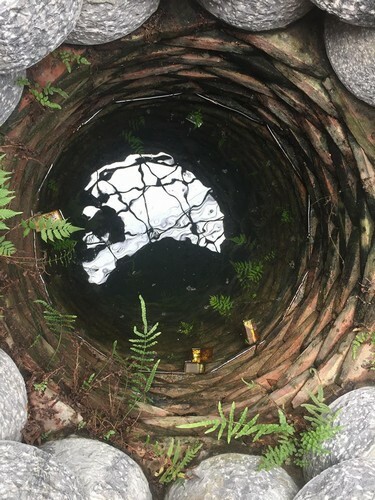 Since then, people have not used the water in the ancient well near the village gate as before, but people in Tam Ky village still valued wells as treasures. 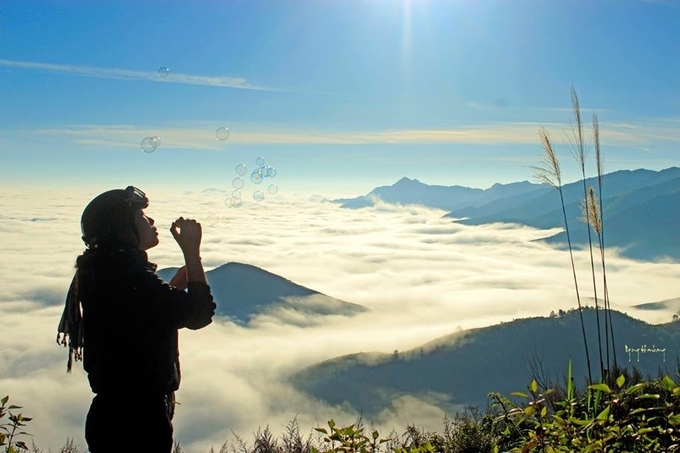 “In 2012, Tam Ky villagers who contributed land, contributed labor, and money to embellish a small part of the well near the village gate to preserve ancient cultural values ​​thousands of years old. 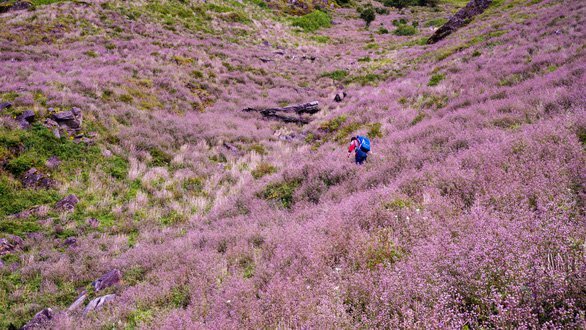 Beginning in June of lunar year 2017, Tam Ky villagers restored procession ceremony praying for rain and water. At that time, the elderly in the village will be dressing up, the boys carry the palanquin, bring bowls in front of the well, praying the God of wells for the holy water that is worshiped at Quan Do, wish for a good year and good harvest” Mr. Huy shared.